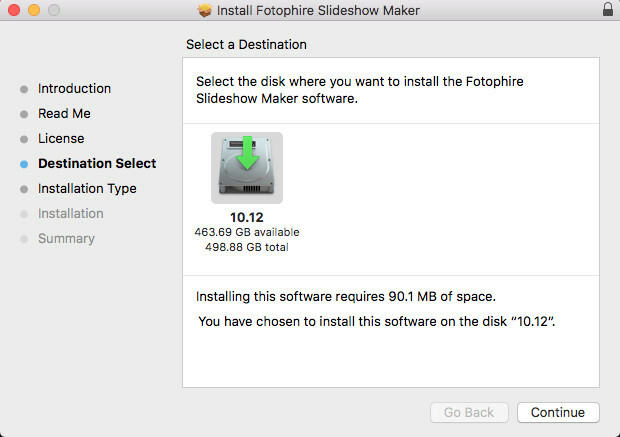 Download Fotophire Slideshow Maker on your Mac computer. 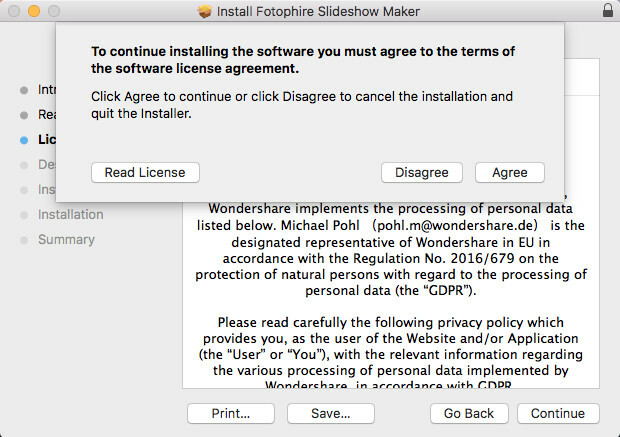 Start the installation package you’ve downloaded and the package will display the Privacy Notice. Select I Agree and click the Next button. Now choose a target folder to let the program save the program. Click Next button after selecting the target folder, and then the installation process starts. 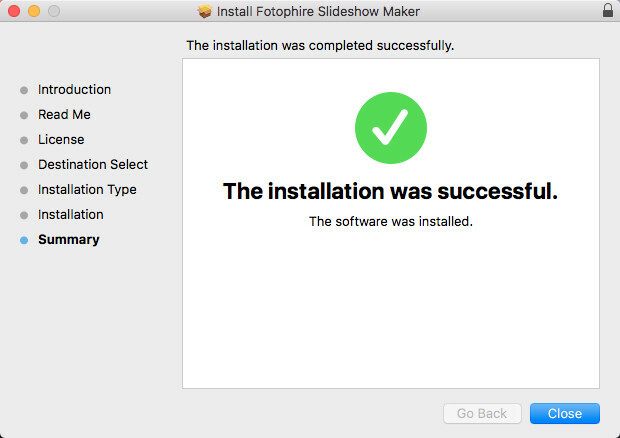 When the installation finishes, you can click Finish to close the window.